I am a notorious overpacker when it comes to vacation. I probably usually pack about double what I need, because OPTIONS, am I right? 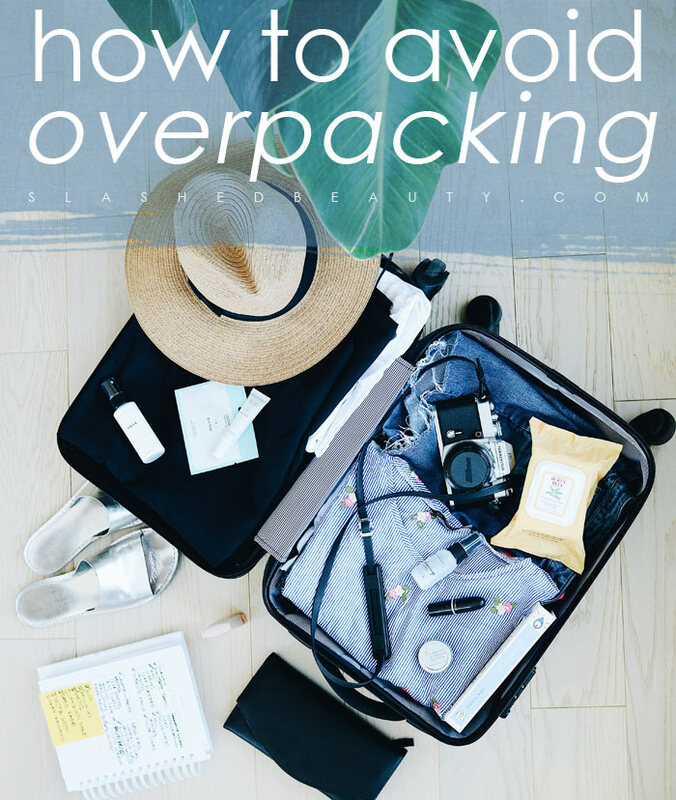 The truth is that overpacking not only weighs you down, and may limit how much you can bring back from your travels, but usually causes a super messy suitcase by the end of your trip. While some may say that overpacking is overpreparing, I’ve actually found that overpacking stems from not preparing enough— just throwing a bunch of stuff in my suitcase that may not necessarily match up to be a complete outfit, or in regards to beauty, a complete makeup look. Here are my best tips to avoid overpacking for vacation, along with when it’s okay to throw in some extra stuff. I used to only consider the weather when it came to packing my outfits, but that sometimes left me with a bunch of options that didn’t match up to what was in store for our trip. I started looking over what was actually planned each day of vacation, and laying out a full outfit that was appropriate for the activities or events. Laying out my outfits on the floor in order of the day I’ll wear them makes it easy to visualize what I’ll be wearing and avoid throwing a heap of random clothes in my suitcase. Hiking? Make sure you’ve got activewear. Going to sacred locations? Be sure to look up the dress code and plan accordingly. Will you be changing halfway through the day for a different activity? Line up your outfits and commit to what you pick out for yourself. If your suitcase has empty space, you’ll probably fill it. Choose a suitcase that’s appropriate for the length of time you’ll be traveling to avoid packing for the sake off filling up free space. The best thing you can do is invest in a luggage set with several different sizes so you can choose accordingly. Okay, I want to know if I’m the only one who does this. When I’m at home, I rewear jeans 2-3 days before washing them. I think that’s pretty common, right? But then I start packing for vacation and I throw in one pair of jeans for every day of the trip! So try to be realistic when packing and think about the items you can re-wear a few times like jeans, bras, pajamas, swimsuits (rinse them in a hotel sink or shower before re-wearing!). I always use packing cubes inside my checked luggage. They’re basically organizing bags that you put within your suitcase to keep similar items together neatly. I’ll use one cube for bottoms, one for tops, one for undies, one for dresses, etc. so that it’s easy to find exactly what I’m looking for. This helps me avoid digging around my bag and making a huge mess, but it also stops me from overpacking. If the cubes are full, that’s it. No trying to stuff the suitcase to the brim and sitting on it to get it zipped up. My favorite packing cubes are from Amazon that I’ve been using for nearly 4 years now! If you’re packing makeup on vacation with you, bringing palettes will help maximize space. Multi-shade and multi-product palettes are much easier to stack and pack than individual compacts. Bring one versatile eyeshadow palette that offers multiple looks, bring a contour and highlight palette — if it includes a blush shade, even better! 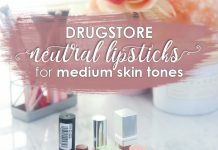 As far as the rest of your routine (besides lipstick), stick to no more than one of every item. Of course, there are certain items that you won’t want to be caught dead running out of on vacation like underwear and socks. I usually pack at least 5+ extra pairs of undies on top of the normal one pair per day. 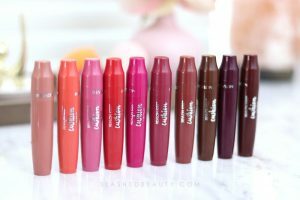 Other things you’ll want to have extras of may be lipsticks to make the rest of your minimal travel makeup kit more versatile, a couple extra shirts in case you spill on yourself (but don’t get carried away here! 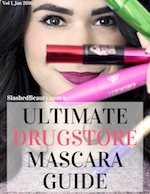 ), sunscreen to avoid gift shop prices, and medications. How much do you typically pack for vacation? 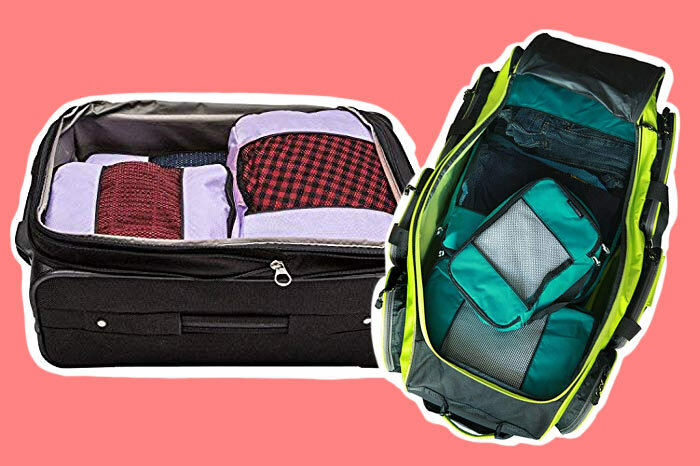 Share your own packing light tips in the comments!